Over the years my Grandfather has had the occasion to tell me, at least once a day, the various problems with current technology — it changes too fast, ruins relationships, causes problems by eliminating face to face interactions, doesn’t always provide correct information. This is coming from one of the people who worked on the COBOL Compiler software way back when… (in the big scheme of things not so long ago). Technology, as we know it, is very young, only about a half a century old, really picking up only in the past 2 or 3 decades. So whenever I plan on a road trip or intend to travel somewhere new, he gets on my case about not using a map to figure out my route of travel before hand. That’s because I have my handy GPS. I’ll be fine. I was driving in an unfamiliar neighborhood, using my GPS to guide me back home. 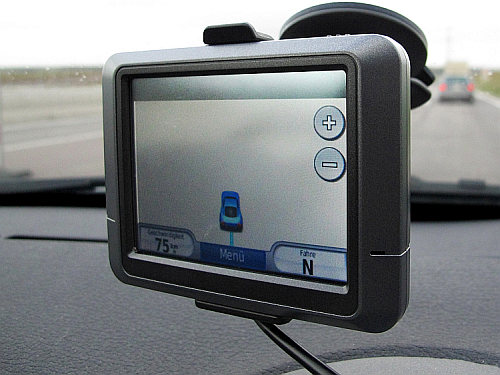 Most of the time, following my GPS delivers me to my destination without any problems. However, on that day, my luck and my GPS did not cooperate. For some reason, as I was driving home from work, I decided to take a shortcut around the massive traffic jam ahead of me. I re-routed my trusty GPS and followed its directions. Left turn 200 yards- left turn now….straight for 500 yards….right turn in 200 yards… After becoming completely lost, I pulled over and saw that it had taken me the wrong way down a one way street, and I was not anywhere near where I wanted to go. If this has happened to you, share your story with me, there are some good ones out there.